Lenberg Farms is a 100-acre goat and sheep dairy farm just outside of Lindsay, Ontario. Their award-winning, soft-ripened goat’s milk beauty is enclosed in a delicate bloomy rind. The tangy, earthy chevre is coated in a pretty layer of vegetable ash. 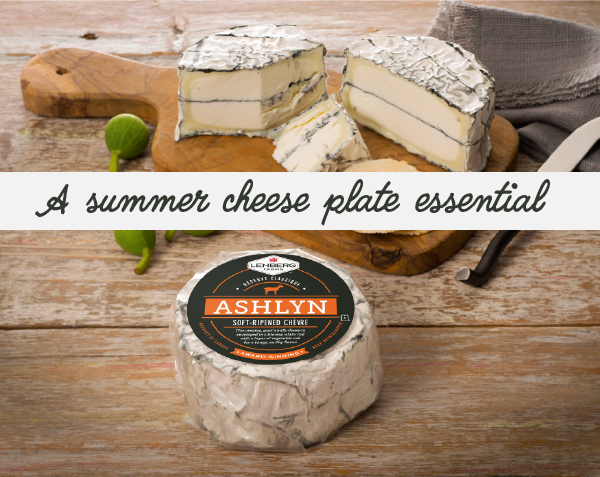 Ashlyn is a summer cheese plate essential.